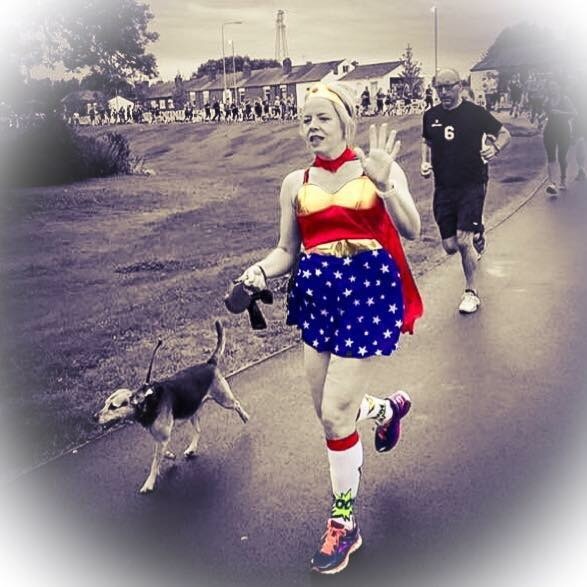 If you are a regular reader of my blog, you’ll know that I am an avid parkrun tourist currently totalling 32 different events. You can read my blog about why I love parkrun tourism here, but I also thought other tourists may like to read my own very personal guide to the events I have completed. Here are the events I’ve done so far, in alphabetical order. Beeston is a flat course around a loop, which starts by the canal, makes a right turn to run alongside a field, another right turn to run alongside the River Trent, then another back to start. On passing the start, the route goes back alongside the canal, to a U-turn point, and then back on itself to the finish. 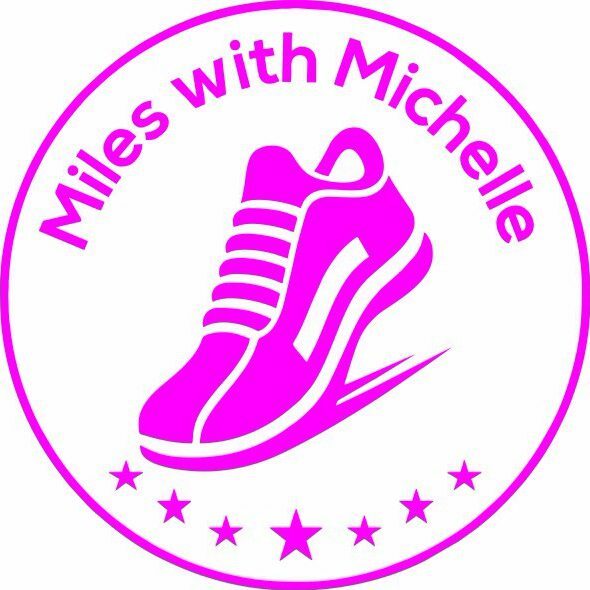 I ran this with the dog, while my husband pushed our daughter in the buggy and we both found the paths very narrow for overtaking initially, and although the initial loop was pleasant enough, the out and back section was tricky. The start and finish is next to a large field and we did wonder why they hadn’t made use of this to make up the extra distance at the end. A pleasant parkrun, with nice views. Only one toilet so there were some queues at the ladies to start with. There’s a small carpark but we parked on the residential street alongside the canal. This is one of my favourite parkruns. 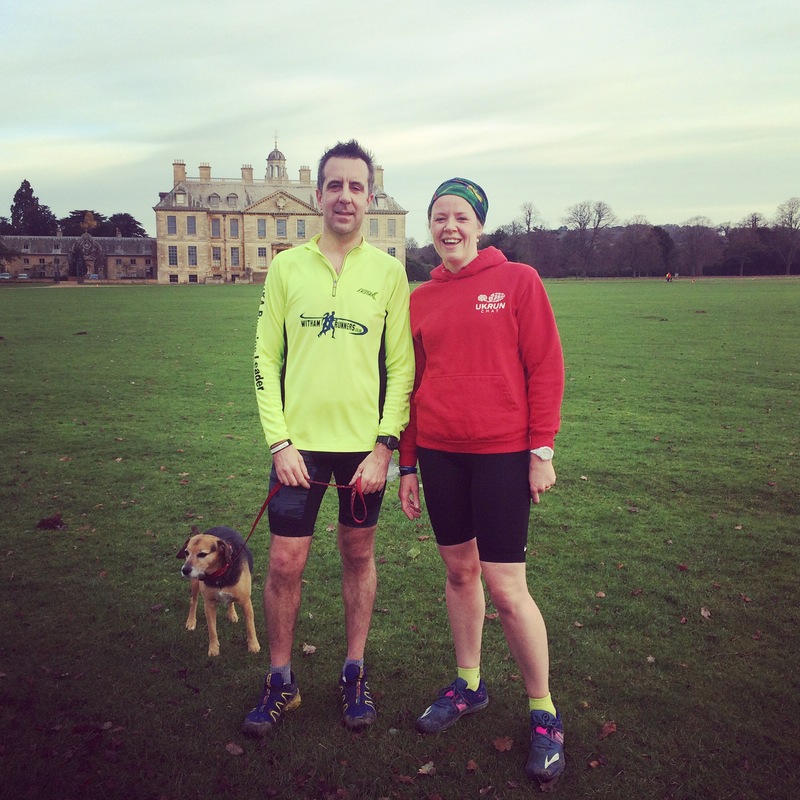 It’s set in the beautiful parkland of the National Trust property, Belton House, and is a two lap course, mostly on grass with a bit of path. There’s plenty of space, and although the parkrun has gradually got busier and busier, it’s still a lovely open course. You often see deer running about here. I think it’s our dog’s favourite course too. I’ve run this event three times now, and that hill is incredibly tough. The course starts on a running track, runs down a hill and through some greenery, then turns back up a long slog of a hill. You then repeat the downhill and uphill before turning off to run a short out and back, before heading back onto the track to finish. I’ve had to go back a few times as it took me a while to run it in under 30 minutes! I was gunning for a PB at Burnley, after the disappointment of Worsley Woods the previous day, but this was my second of a double parkrun on New Years Day and followed Watergrove. I set off at a decent pace, but once we left the path onto the mud, it all kind of slowed down. Burnley is a fun course with a cross country section in the middle of both laps. It also has a couple of mean inclines. I’d like to go back on fresh legs and have a proper crack at it – perhaps in summer. Superbly organised finisher funnel and so friendly as all events in that area tend to be. Clumber is a lovely two lap course in the ancient woodland cared for by the national trust. The loop itself runs around the event field, so it’s not the prettiest section, but there are some lake views, and some woodland, and it is a fast course, especially now they’ve gravelled the path so it’s not as ridiculously muddy as it once was. There’s a short sharp hill at the end of each loop, just before a nice fast downhill finish. Also the friendliest team of volunteers I’ve ever had the pleasure of helping out with. It was so hard to find the start of this event. We parked on the roadside near all the other cars, but by the time I had unloaded our toddler and the running buggy everyone had disappeared. We walked for around 10 minutes down the quietest riverside path I have ever known, with no sign of any other people in Lycra, or even of human life full stop. We came to a car park and eventually found somebody in Lycra, who pointed us in a different direction, another 5 minute walk away she said. Decent warm up though. It turned out there is a car park right near the start. A really well attended parkrun, and a beautiful route lapping around the lakes. Absolutely stunning, very friendly, and very flat. This is the parkrun I alway chuckle about. I had arranged to meet a Twitter friend Doug here, as it’s his local where he volunteers a lot. It was easy to find, and park, at the leisure centre, and it started right next to the sea. You run out through some sand dunes then turn onto the prom to head back. Usually the course then drops onto the beach to head out to one of Anthony Gormley’s statues who is volunteered as an iron marshall each week, before heading back, but depending on tide levels sometimes you stick to the prom. I was disappointed as I arrived and a sign told us we weren’t running on the beach today. I started off really strong, as first lady leading all the way until we were on the prom heading back. Then we hit the Sahara Desert! The wind had blown makeshift sandunes onto the prom path, and running through inches of soft sand absolutely drained my legs of energy. That last mile running out through the dunes, and then knowing I had to come back exactly the same way, felt like an eternity! I eventually finished 3rd lady in a time of 28:34 which tells you how tough it was that day, but I still chuckle about it now. I’d like to go back and try it when it’s on the beach and a bit easier to run on hard sand. I had a lovely coffee and a chat with Doug afterwards, and it’s always nice to be beside the seaside. I’d heard this was a quick course, and I had been PB hunting for a long time. This course did not disappoint. As I put my trainers on, getting out of the car, I realised I was wearing two left socks, perhaps not a good omen for a PB, but I jogged the short distance to the start and did a 10 minute warm up around the beautiful Croxteth Hall. We set off, and I tried to hit a good pace, which is easy when you still have the front runners in your sights. The course is lovely – along beautiful tree lined paths, glimpsing the hall each time you loop near. I can’t remember that much of it though to be honest as I was concentrating on my form and my cadence as I always do when trying to run fast. I crossed the line in a new PB and was thrilled!! I did Cuerden Valley parkrun in the spring, when the woods were alive with bluebells, and it was glorious. It’s a lapped course, with a different start and finish place, but you don’t really realise it’s lapped because the course is very undulating and interesting and it keeps you on your toes. 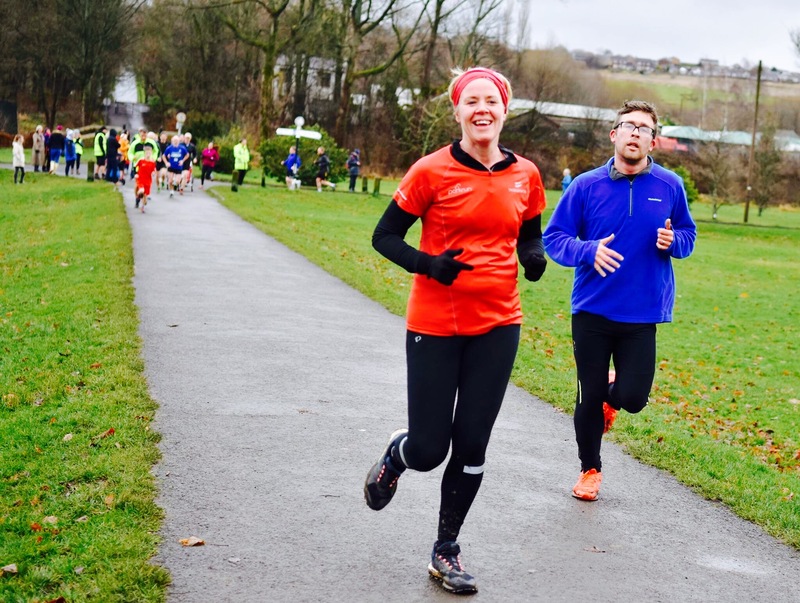 This parkrun doesn’t seem to give you any respite; you are either running uphill, or taking advantage of a fast downhill, so there’s no break to recover really. It’s a stunning woodland course, so plenty of roots to look out for, and the uphill finish nearly finished me off! Beautiful course though, and really friendly team of marshalls. You know you’re a proper parkrun tourist when you book a family camping weekend away, and the only criteria is that it is near to a parkrun. We settled on the beautiful Dalby Forest, and were not disappointed; a beautiful one lap course around the wooded valley. The facilities were great, with all the usual you would expect from the Forestry Commission; we even had the bonus of doing the Stickman trail with our daughter after parkrun and a hearty breakfast of course! I think wooded parkruns are my favourite kind of events; they’re so beautiful and interesting. 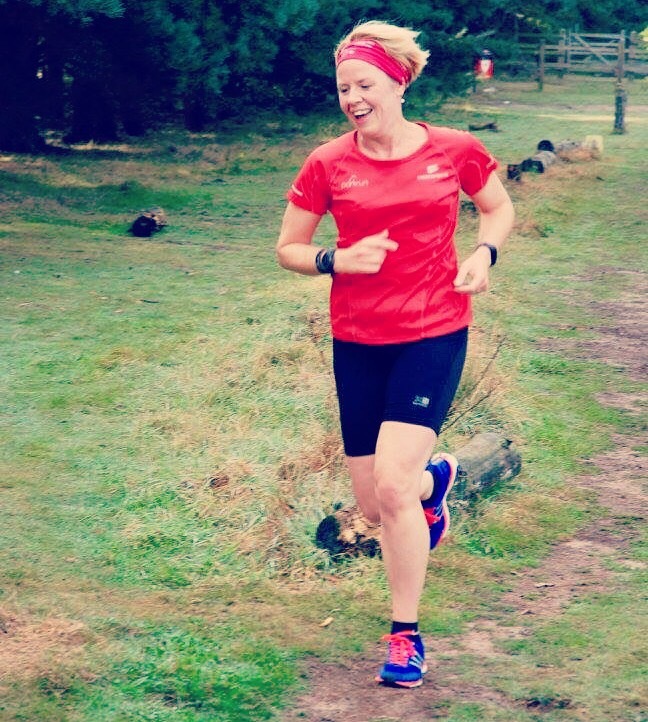 Delamere parkrun did not disappoint. It is a lollipop shape, which incorporates a short out and back at the start and finish, with a lap of the lake in the middle. There’s even a bonus gruffalo on the route – look out for him! A decent amount of parking, with a cafe and toilets on site, and a short walk to the start. Neither Dan nor I liked this event the first time we visited because it’s the hardest course we’ve done. It’s three laps starting from the leisure centre with an uphill start and an uphill finish – really! – with a lot of it on grass. It feels interminable. 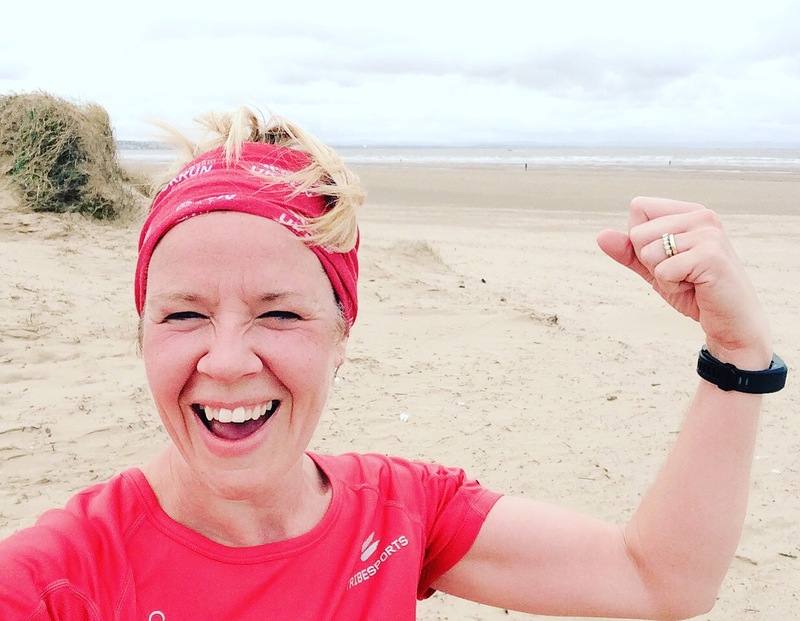 We tackled it initially with our toddler in the buggy and the dog for company – big mistake – and it took us nearly two years to gear ourselves up to go back (empty handed the next time) and while we still found it tough, I knocked over 9 minutes off that original course PB. It’s still not what I would class as a PB course, with 7 hills up and down although the small field makes it attractive for a good placing and you will always get a warm welcome. Worth a visit and great cross country training. Plenty of free parking too. I love this event. 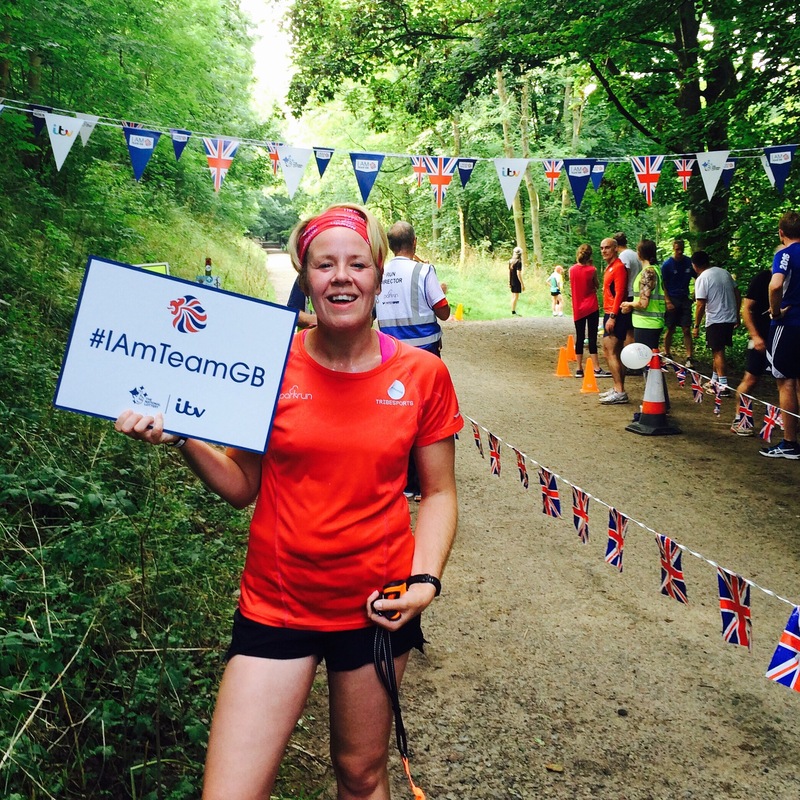 It’s set in the beautiful Haigh Woodland in Wigan and is a one lap course. The first half is downhill, which means the second half is all uphill, so do be prepared for that, but it is a beautiful setting. Look out for the pigs too! I had wanted to do this for a while, but never quite had the chance, so a #ukrunchat tweetup provided the perfect opportunity. It turned out to be my 32nd event. The park is easy to access, and although the website stated parking was £1.50 there were no pay and display machines working so we parked for free. The start takes place right in front of the grand backdrop of Heaton Hall with its famous lions, although be prepared for a late start. We timed the ever so long briefing (which started promptly at 9) to ten minutes! A bit pointless doing a warm up then. There are quite a few tight turns on this course and we saw one man fall flat on his front racing the melée to get around that first bend. With over 600 runners it can get busy so just be aware of that! It was a nice course however and after that initial scrum, there were no real pinch points on the route. I thought Angina Hill had also been overegged a lot as it was more of a long slope than a hill, but then it’s all relative I guess, because I had recently done Witton and Bolton parkruns which have lungbusting hills in them. The route looks complex on line (and takes ages to brief) but it’s actually very straightforward when running it. It was great to meet up with Antony, Brian and Rachel there, and a huge shoutout to Brian who was completing the @marathoninaday challenge, using Heaton parkrun as his first miles. He went on to run 3 further 10ks at other parkrun courses in the northwest that same day, and finished his marathon challenge early on the Sunday. I took my daughter in her buggy, and the dog with me to this event so I wasn’t expecting a quick time – I was there for the tourism with some friends. What I wasn’t expecting however was just how muddy it would be (it WAS winter!). My buggy needed mudguards, and by the end of it I was covered with a spattering of mud but what a fun course. It’s 3 laps, but what a beautiful route. Set deep in the valley of Humber Bridge country park, this parkrun is really easy to get to straight off the Humber Bridge, with lots of parking. There’s also a pub just round the corner which does a fantastic breakfast! I confess I headed to Knowsley because I was desperate for a 1st place finish (sad, I know!) and I knew it was a small event, being so new, and a relatively easy course. It’s two laps, with a small amount on grass, and a very insignificant ‘hill’ and it appeared I was on good form as I placed first lady, and 8th overall, so I was not disappointed. The team is really friendly, and I had a nice chat with them afterwards. My tourist cow cowl also always proves a nice icebreaker when I’m at an event on my own. My home parkrun, although not my original home (which was Newark). 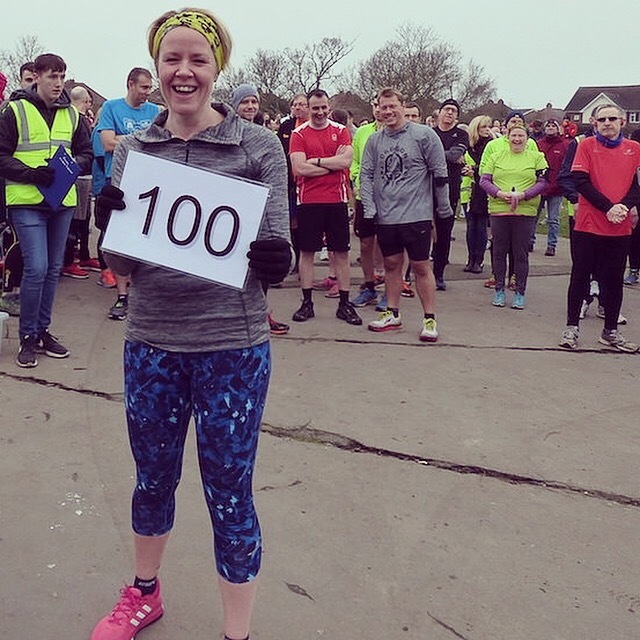 Lincoln is the place I feel most at home and know the most people, so it was naturally the event I chose to celebrate my 100th parkrun at in early 2017. I’ve been parkrunning at Lincoln almost since it opened, but because I love touring, I probably average a Lincoln parkrun maybe once every 6-8 weeks. It’s a fast course, but it is 3 laps around Boultham lake and through the woods, and because of the numbers of runners it now attracts, it can be difficult to run at your full potential, especially on laps two and three. That said, my current PB is held at Lincoln although I will, as always, try to break it elsewhere whenever I find myself at a fast, flat parkrun. Lincoln has a great core team who volunteer most weeks, and a real friendly, community feel. It’s worth a visit if you’re PB hunting – just be sure to start at the front so you can get across that first bridge without having to walk. Parking is also limited at Lincoln in the bowling club and the small church carpark, but there is plenty of parking on the residential streets around the park. I’ve been to do this parkrun a few times now as it’s a great challenging event, set in the beautiful Melton country park. The challenge is in the hill, which you have to summit twice, but in return you have a fantastically fun downhill. 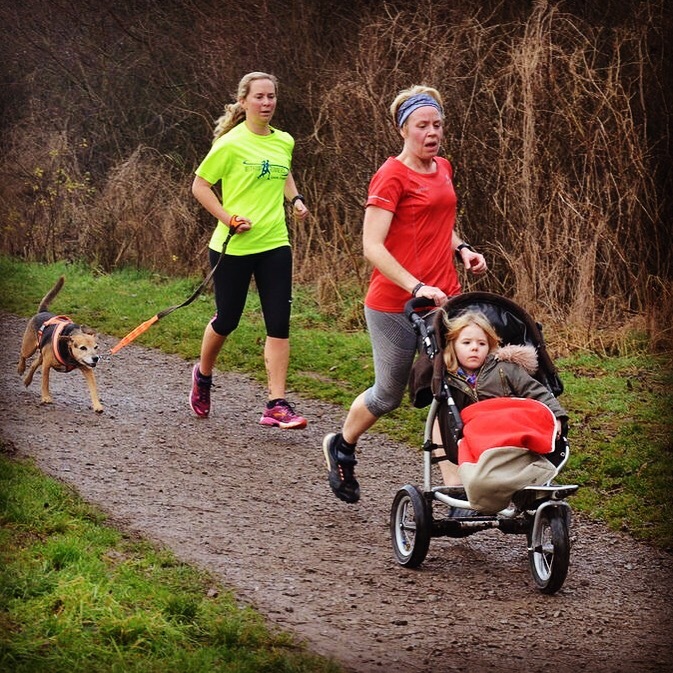 I’ve only ever done this event with pre-schooler, buggy, and dog in tow, so I’m not sure whether it’s a quick parkrun or not as I can’t compare it fairly, however it is certainly great fun! Go and try it! Limited parking and toilets and a cafe on site. The first parkrun I ever did, 3 years ago when my daughter was tiny as we had just started to use the running buggy. As courses go, Newark is pretty tough I think. It starts downhill, does a loop through the woods, up some steps, around a field, across a field, then back to the start of the loop which you complete twice more before heading back to the start for an uphill finish. It took me ages to crack this parkrun and achieve a time I’m relatively happy with, as I find the wooded section and the steps really slow me down, but that’s a very personal thing to me I think. What I really like the most about Newark is Sconce and Devon park, which has lovely play areas for our daughter and a cafe where we can sit outside with the dog to enjoy a bacon sandwich and a cup of tea afterwards. Free, though limited, parking too. I had put this parkrun off for a while as I knew it was three laps, but others had told me it was worth a visit. As I drove into the carpark on a hot June morning, to views of the lake, I inwardly cursed myself at never having visited this beauty spot before. The carpark cost £1.20 (payable at the golf hut), then it was a short walk to the finish area. When it was time to start, everyone walked slowly back a short way up the path towards the car park, then turned around, ready to go. It was a cramped start area and took me maybe 10 seconds from the gun to get running, but once running it was open clear paths with grass either side. The route is lollipop shaped, so out from the start, then three loops, then back to the finish. The loop contains what I would refer to as two hills although in reality they’re short slopes, and it is all on gravel paths and grass. Stunning views of the flash from the top of the second hill and a nice fast downhill finish. I loved it! Really friendly too. When in Wales for the weekend, it would be rude not to find the nearest parkrun! We were staying in Anglesey, so we were only half an hour away from beautiful Penrhyn castle in Bangor. The course was a shock! Two large laps, and two small laps, all involving the same uphill. I don’t even remember a downhill to be honest, because that uphill was tough, but the start and finish inside the castle ground made up for it! A stunning setting, with the castle as a backdrop, and views across the sea. Loved it! An hour is about the maximum we’ll drive to do a parkrun in the morning, and Peterborough is pretty much at that limit. I had arranged to meet Adam, Holly and Nat from #ukrunchat as Peterborough was in the middle for us all, and I had visited Ferry Meadows country park before and was expecting a lovely enjoyable parkrun. I was disappointed to be honest. It’s a very busy parkrun, and has too many people for the type of course (around 500 runners). On a one or two lap course, these numbers wouldn’t be an issue, but the course at Peterborough involves quite a long out and back along a narrow path. One runner nearly tripped over my dog on the out and back section (sorry, she was under control, there just wasn’t much room!) and a runner (wearing headphones) ran into the buggy Dan was pushing. Nobody was hurt thankfully, but it turned what should have been an enjoyable run into a stressful one as we couldn’t run at our own pace. The event also could do with additional finish funnels and more barcode scanners because the queues at the end were quite long. I understand the organisers have recently changed the course due to losing a bridge which used to provide access to another part of the lake, but the out and back isn’t ideal in my opinion. Otherwise, a beautiful and picturesque course, good value parking, and great facilities at the country park, including access to the Nene Valley steam railway. Attending an inaugural parkrun is a tourist’s dream, and they’re generally not advertised because new events don’t want to be inundated with tourists as most teams like a few weeks to get the hang of things. I am kind of local to Phoenix in that my mum lives nearby so I am often in the area of a weekend, so a few months of keeping my ear close to the ground about Phoenix, and its first event coincided with a weekend I was visiting mum. The day dawned rainy, but it was still a busy first event. Parking is at Norton Priory, so the walk to the start takes around 10 minutes, so I arrived early, with enough time to also have a jog around to warm my legs up. The course is two and a half laps, and the park is built on a slope, with the bottom section on the canal, and the top section on the edge of busway. I think this picture says it all to be honest – this was taken on what I think was the second of three times climbing the hill, but I actually recorded a pretty decent time for me. I loved the section along the canal, and the hill was certainly a challenge. I’ll be back to do that one again. I visited this parkrun when I was in the area for Thunder Run at Catton Park. This parkrun hadn’t been operating very long, and they were INUNDATED with tourists the week I was there. They handled us absolutely brilliantly though. It’s a very winding course through the wooded country park and I really enjoyed it. Tourist week made the atmosphere extra special too. There’s a lovely cafe there and plenty of free parking. Rushcliffe parkrun wins my vote hands down for best place to visit as a family. 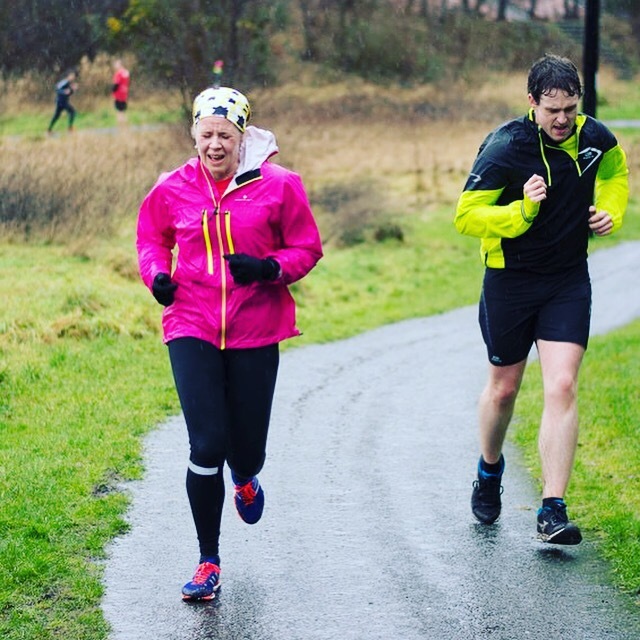 Set in the beautiful Rushcliffe country park, the parkrun is a popular event (over 400 runners the day we did it) but with two laps around the wide open spaces of the park it only really felt busy at the start until we got to the other side of the lake. Some small undulations, but I would say this is a great PB course. What I really like about this parkrun however is how much there is to do as a family afterwards. There is a little cafe in the rangers office where runners can get a tea or coffee afterwards, and the park itself is full of so many activities for the little ones; play park, sandpit, nature trails, sensory area and the Great Central Railway is just next door (5 minute walk) with model trains and a preserved working steam train offering rides to Loughborough and back. Car parking is at a minimum but certainly good value at £1 donation. Well worth a visit. Dan liked this one, but it was his 50th parkrun. The route took us through stunning, undulating woodland. It is an absolutely beautiful course, soft underfoot mostly and I would recommend trail shoes. We also had a cracking breakfast in the café afterwards, although I was a bit puzzled why they served everything on paper plates. Dan said this was his least favourite parkrun because the route was boring. I personally am not a fan of out and back routes either, but being right on the lakeside, the views are incredible! You run out along the dam too, on a nice day I’m sure it’s stunning but the day we visited it was pouring down with rain. A very fast, flat course. I visited the inaugural event for Sherwood Pines, and loved it so much I’ve been back quite a few times. The best thing about this course is that it’s one lap and all through beautiful forest. The worst thing is that there are quite a few hills; that said it’s a quick course. One of my local favourites. The event now has its own carpark where runners can park for free. This is a fast course as it’s nice and flat, consisting of a small loop from the start, a long out along the path to the canal, a loop around a field, back down the path to the park, then a final loop before the finish. The wide path doesn’t create problems on the out and back, and the course is flat as a pancake. This course remained unbeaten as my overall PB for a long time. Very friendly too and great cakes at the end! Well worth a visit. I had been wanting to do this parkrun for a while as I had heard it called “the toughest parkrun in the UK” so I had to try it. I chose it as part 1 of our first ever New Year’s Day double, and it started at 8:30am which would give us chance to get to Burnley parkrun afterwards. New Years Day 2017 dawned grey and cold and sleety. By the time we eventually found the reservoir, along deserted country roads, we walked the short way to the start from the car and wondered just how crazy we were, as the wind howled around us. I had drawn straws to run with the dog, so we set off, straight up the first hill. The views were spectacular, even in the grey weather, and I stopped to take it in at the top of the first climb. We then turned around, ran back the way we came, and once at the bottom climbed another hill on the opposite side of the valley. The wind and rain were now blowing straight into our faces, the dog was looking at me like I was a mentalist, making us run in this weather, and once Dan ran past us on his descent, of course the dog tried to follow him, so it took a bit of cunningness to coax her up the hill, to complete our climb, but with whistles and whoops and calls of “who’s that?” and “catsssss” she played along and we could turn around at the top and start our fast descent with a nice tailwind, although the cobbles were a little slippery in the wet so we were still a little reserved in our speed. 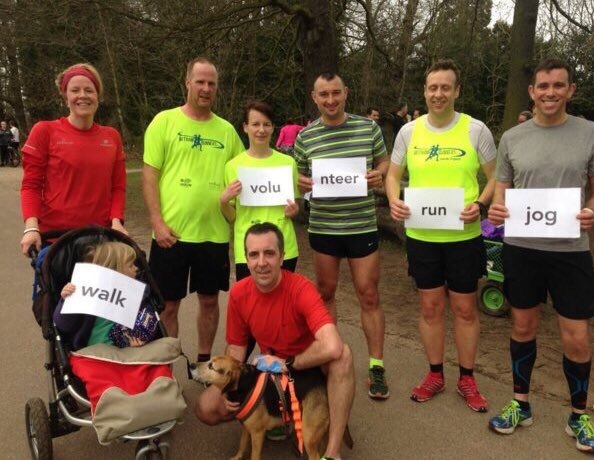 All in all a really lovely parkrun that I’d like to try again in warmer, drier weather. And I even got to meet hill running legend @jdcnorden at last. I’ve done this event a few times now as it’s the closest parkrun to my mum’s and very handy if I just want to roll out of bed and have a ten minute jog to the start. The course is three and a half laps around a small park and it’s very flat so is a fast course but I think the mental aspect of running round and round and round means I can’t seem to break through that 24 minute barrier there. It’s a friendly course but not a particularly exciting or scenic one. Last time I ran it, I met Brian there, who kind of dragged me round to a course PB to be honest. Thanks buddy! A very nice course, and very friendly, which to be honest is a feature of all the north west parkruns we have done. It’s a two lap course, and we had heard it was hilly, but the hill was like running up a cliffside! My lungs were burning as I really didn’t used to like hills at all, but the course was beautiful and varied. I’ve since been back to this now I’m fitter and have set a faster time. I had chosen this course for New Year’s Eve because it was billed as flat and fast, plus it’s a woodland course so it sounded scenic. I had however put too much pressure on myself to run a PB (which at the time was held at Croxteth Hall at 23:36). It was easy to find and there was plenty of free parking near to the start. After a brief warm up, we set off at a fast pace. Dan had the dog running alongside him, and I felt fine for the first half a kilometre but I had set off too fast. After around 1.5km, the course begins to loop around the woods, which for some reason slowed me down to around 10 mins per mile. I’m not sure what happened, but the soft ground beneath my feet slowed me down, as did the slight inclines, and I felt HORRIBLE. I even had a shout at Dan at one point (sorry!) and told him to run on ahead which he reluctantly did. Eventually we got back into the wide path, and headed back the way we had come, where I was able to pick up the pace again and finish in 24:22. I was very disappointed in myself that day. I would however like to go back and see what I can do at that parkrun now my head is in a better place. Love this!! Hoping to take up some parkrun tourism myself and this has just inspired me to make that happen! Thank you. Thank you – enjoy your tourism! It’s great fun.